Has a friend or loved one been arrested and taken into custody in Van Nuys? If so, you’re probably looking to speak with a bail bondsman about getting them out of jail as quickly and painlessly as possible. Situations like this are usually a shock, and as such, we have a licensed, professional, local bail bondsman waiting to take your call 24/7. We at Adventure Bail Bonds are state licensed in California and have been in the bail industry for years. We are intimately familiar with the legal system in Van Nuys. When you speak with one of our Van Nuys bail bondsmen, you will quickly get answers to any questions you may have. If someone you care for has been arrested in Van Nuys, You’ve probably got a lot of questions. The first step to getting answers is calling us at 855-414-BAIL (2245). 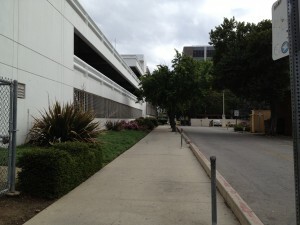 The Van Nuys Police Station covers a 30 square mile area, including both Van Nuys and Sherman Oaks. Thus, anyone arrested in either of these areas has a good chance of being taken to the Van Nuys Jail. It is no longer necessary to appear directly at the jail in order to post bail. As a matter of fact, you don’t even need to come to our office in order to fill out the bail application forms. It will only take a few short minutes with your agent to get you through the bail bond application process conveniently over the phone or by fax or email. Additionally, our company does not require collateral for every bond we write. We frequently write “signature bonds” for our clients to make the process much smoother. What Does our Bail Agency Need? Once you call us, we will ask a few simple questions in order to get the bail process started. For the most part, we will need the arrestee’s name, their birth date and the date and time of arrest. It can help make the process go quicker if you have this information ready beforehand. But it’s still okay if you don’t. We’ll help you through the bail process from start to finish. Once the bail application has been approved, there will be a few forms that need to be signed, the bond paid for and you’re finished. All of our forms are easy to understand, and we are happy to help anyone who needs further clarification. Someone willfully skipping bail is generally rare, but can result in further charges being pressed and bail being revoked. It could also wreak havoc on the unfortunate indemnitor. However, if a court date is missed, a quick call to the bail agency can alleviate any issues, and a new court date can often be given. We offer many flexible and creative ways to pay for the bond. We offer financing options to help ensure your family can comfortably afford to bail out a friend or loved one. We take all major credit cards, cash and offer payment plans for those who qualify. Call us to find out more about the payment plans we offer. For more information on Van Nuys Bail Bonds, call and speak directly with a friendly bail bondsman now at 855-414-BAIL (2245). We’re here to help get you through this stressful time.